What is your favorite thing about THE LAST CHANGELING? My favorite thing about THE LAST CHANGELING was getting to explore the different ways people can stand up to injustice, whether they’re planning an elaborate battle in Faerie, or dealing with bullies in the halls of high school. Growing up, a lot of us fantasized about what we would do if faced with a power-hungry monarch, a fire-breathing dragon, or a demon from below. But when it comes to real-world bullies, oppressive systems, and neglectful adults, it can be so much harder to figure out what to do. So while Elora, the faerie daughter of the Unseelie Queen, is struggling to take down her mother’s corrupt court, seventeen-year-old Taylor is dealing with a fragmented family and bullies at school. Apart, both Elora and Taylor have difficulty solving their problems, but together, they might just be able to take down the tyrants in both their worlds. What was your inspiration for writing THE LAST CHANGELING? I was fascinated by the idea of a faerie attending a human high school without being able to rely on her powers. How hard would it be for her to fit in? Would she assimilate quickly? What kind of observations would she make about the human world that we might take for granted? After that, the details started to unfold. I figured out why Elora had to survive in the human world, and what kind of friends she would make there. And when a human love interest appeared—the absolute last person her family would ever allow her to be with—things really got interesting! The opening! For the longest time, I thought the story began in Faerie. I wrote countless versions of Elora conspiring with the person who would send her to the human world. But it came off as too weird, too unusual—too high fantasy for a story that takes place mainly in the human world. So, after numerous revisions (and numerous rejections!) I finally decided to start the story when Elora enters the human world, and weave in details about why she’s there throughout the first few chapters, adding an element of mystery. And in the end, the opening is much stronger, much starker, and much creepier than anything I’d tried before. I’m really happy with it! 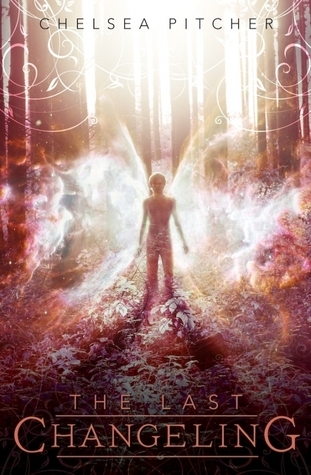 I would definitely recommend Holly Black’s “Modern Faerie Tales” series. Black has such a talent for blending creepy, fantastic fantasy with believable real-world situations. I would be honored if my work even came close to that. How long did you work on THE LAST CHANGELING? Ha! This is the million-dollar question. I actually worked on the book for seven years. It’s the longest I’ve ever worked on a single novel (and I probably won’t be sharing the terrible early drafts any time soon!) but I’m really, really happy with how it turned out. This is definitely “the novel of my heart.” My labor of love. I put so much of myself into this book, and I’m so excited to share it with the world! What do you hope readers will take away from THE LAST CHANGELING? That connection is important. Connection to friends, family, significant others, all of it. Connecting to other people is important. But it’s equally important to trust yourself, believe in yourself, and know that you can accomplish great things on your own. And once you truly believe in yourself, and find others you connect with, you can move mountains. You become unstoppable. Before the time period that I’ll refer to as The Seven Years of Changeling, I wrote a full-length novel at age twenty-two (now trunked), a previous one at eighteen (also trunked) and about 100 pages of one at sixteen (oh-so-rightfully trunked!) So I’d been writing novels for over ten years before my first book was published! Of course, the trick is that I really love writing, so I’ve enjoyed myself the whole time. The truth is, every time I have an AHA! moment, the universe throws me a curveball. So I guess the key to writing a novel is that there’s no key! Each book is different, and just because I get a great draft during NaNoWriMo one year doesn’t mean that’ll happen the following year. Different novels tend to have different personalities, and some pour out of you in a matter of weeks. Others take months or years to get right. The thing to remember is to trust your instincts. If you feel like writing the story in a non-linear fashion, do it. If you want to write the ending first, go ahead! (I actually did this with THE LAST CHANGELING’s sequel, and it worked out strangely well.) Don’t ever worry that your process is weird or unusual. Only you know what works best for you. I tend to work in total silence, or listen to music if it’s the right kind. I find both Ellie Goulding and Florence + the Machine really good music to write to, especially for a faerie book! And I definitely, absolutely require lots of caffeine! I just turned in my sequel for THE LAST CHANGELING, and now I’m working on a contemporary YA murder mystery. I really enjoy creating a list of suspects and planting all the clues!